Take a look at Tina Trillitzsch' weekly posts from last week. And also Weekly Indie RPG & Storygame Review Week 25, 2017. 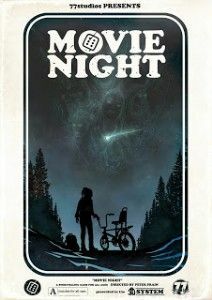 A free PDF by Peter Frain: Movie Night. Set in the eternal last days of summer in the 1980s, you can fight monsters, hunt pirate gold, save aliens, get whisked-off to fantasy worlds or anything else you can imagine. Light and Honor Quickstart Rules for free. Issue 6 of the Dungeon World Newsletter is out. Here are some musings about the Effort mechanism by Peter Beowulf: Effort is Awesome! Part 2!. Effort is not a one-size-fits-all solution and Peter has some good explanations about that. 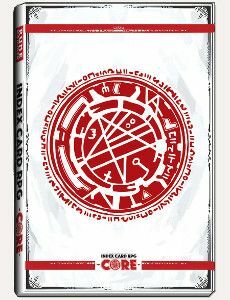 I made a List of Resources for the Index Card RPG in the vein of my other popular link lists. Like Dungeon World this is a game that appeals to me more as a GM than as a player. I love the procedures and mechanisms/tricks/tips for the Game Master. As a player, I like the open classes. What do I like about ICRPG (so far)? No official OGL/license. You are allowed to create fan content but if you want to put something out to sell you can't (at least not yet). The game doesn't really use index cards. These are extra products that enhance the game but not a core feature. No digital bookmarks. Come on, it's 2017! Over-hyped. Yes, this is a neat game but it is not revolutionary. It has excellent ideas. It's good. Depending on your taste, even great. Or maybe not. I can't really put my finger on it. It's a game for a certain audience and if you're not one of those, it's ok but not awesome. It doesn't shake your world like the PtBA games (this changed my outlook on procedures for the GM) or some story games (Archipelago). And the /rpg/subreddit now has a wiki entry on solo role-playing. D&D Character Sheets for OneNote 2016, PWYW. OneNote can be awesome for organizing your game. [Spoilers!] What I've Learned at Origins 2017. Old-Schooling the World of Darkness by Zak Smith. This advice is good for putting the pressure on the players, not only for playing WoD. The Knaack Hack is a free OSR game that mixes all kinds of versions. KH differes from the Black Hack in several ways. Most notably, it ditches the old 3-18 attribute range (and modifiers some OSR games use) for a more streamlined 1-5 rating. Then it pulls in the saving throws from 3rd edition, but ditches the skills to maintain the OSR feel. It has all the classic fantasy races and classes one would expect, ensuring backward and forward compatibility. Instead of endless lists of weapons, armor, and gear, it streamlines them into broad categories, giving you more options and customization options while simultaneously reducing the amount of gear there is to keep track of. I'd say the biggest change of all, though, is in how spells are handled. There are hints of 5th Edition in that they are not categorized by class, though each class only has access to a certain subset. The main difference is that each spell can be cast any number of times per day, though casting requires an attribute roll - failure results in a wasted action, and a natural 1 gives you a lasting penalty. Magic is technically unlimited, but has disastrous consequences if used too frequently. Lastly, each spell can be cast at various ranks, from 1-5, each with different and sometimes stacking benefits. This vastly reduces the spell list and makes each one more versatile. 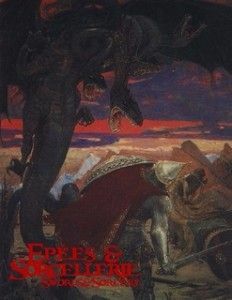 In short, this is a streamlined combination of every edition of D&D (and a dash of Pathfinder) where all the modernization has been done in the name of reinforcing the OSR feel, though it technically breaks the "letter of the law" of OSR in a few places. More about this on reddit. 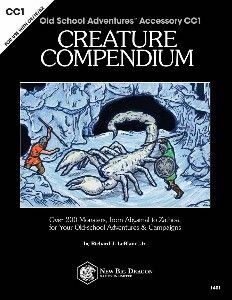 The fantastic CC1 Creature Compendium is now PWYW! And Épées & Sorcellerie (English translation) is now also available on Amazon for USD $7! Advice on how to write better prose by Patrick Stuart. A lot of gems. Read this. A lot of RPG websites have a lot of old (but great) articles, but those articles can become forgotten, lost to time. Stuffer Shack is no different. So, we’re putting together a quarterly collection, an anthology that brings those lost articles back to life. Teylen has collected the new crowdfunding efforts for projects starting from June 12th to 19th: Crowdfunding Collection #43. 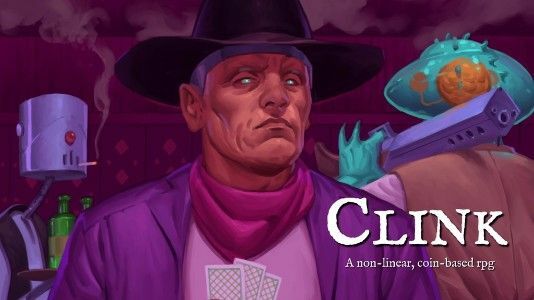 Clink: an RPG of Mysterious Drifters and Risky Coin Flips sounds interesting. The guys behind this have a stellar record (Ben Dutter and David Shirduan) and there is a game draft.